Volume Apparel has been supplying affordable wholesale clothing to retailers for decades. Our supply of men’s loungewear is second to none. Your customers are looking for comfort and fashion when shopping for their relaxing attire. We have thermals, pajamas and stretch model shirts that are designed for both comfort and style. From cold winter nights to shirtless summers, we offer loungewear that’s going to be comfortable and weather appropriate for lazy Sunday’s watching the game or reading in bed. 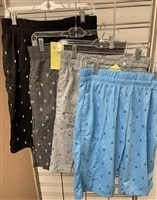 Our men’s wholesale pajama pants for retailers are the best. From flannel to cotton jersey, we offer every style your shoppers could want. Volume Apparel has the perfect men’s loungewear at the most affordable prices. MONTE CARLO POLO AND JOCKEY CLUB® BIG mens underwear. MONTE CARLO POLO AND JOCKEY CLUB® big men's 2 pack jaquard poplin boxer set. Grit Iron® men's thermal 2 piece underwear set. Northwest Blue® men's thermal 2 piece underwear set. Northwest Blue® men's base layer 2 piece thermal set. Grit Iron® big men's thermal 2 piece underwear set. MONTE CARLO POLO AND JOCKEY CLUB® big mens poplin shortsleeve pajama pant set. It’s no wonder Volume Apparel is the number one supplier of men’s loungewear and men’s wholesale sweatpants. Our drawstring waist lounge pants are very popular and are sure to fly off your shelves! Same Day Shipping Available – When you need your shipment of wholesale men’s loungewear and sleepwear fast, Volume Apparel is the place to shop. Back orders are non-existent because we keep our warehouses fully stocked at all times. If you place your order before 12pm EST, you’ll get same day shipping! Great Customer Service – The client always comes first. Volume Apparel has grown year after year because we live by that motto. We’re available to help by phone or email when you have questions or need help placing an order. Give us a call today at 1-800-933-9668 to learn more about ordering wholesale men’s loungewear online at Volume Apparel.